St Helens Mind Social Groups benefit many men and women who live in the Borough. One in four people experience mental health difficulties at some point in their lives. St Helens Mind aims to help alleviate the loneliness and isolation that such difficult times can bring. Groups are held throughout the Borough and a new one is being launched in Newton le Willows in April. Whether you are an interested individual, carer, family member or support worker, the team at St Helens Mind would love to meet you. 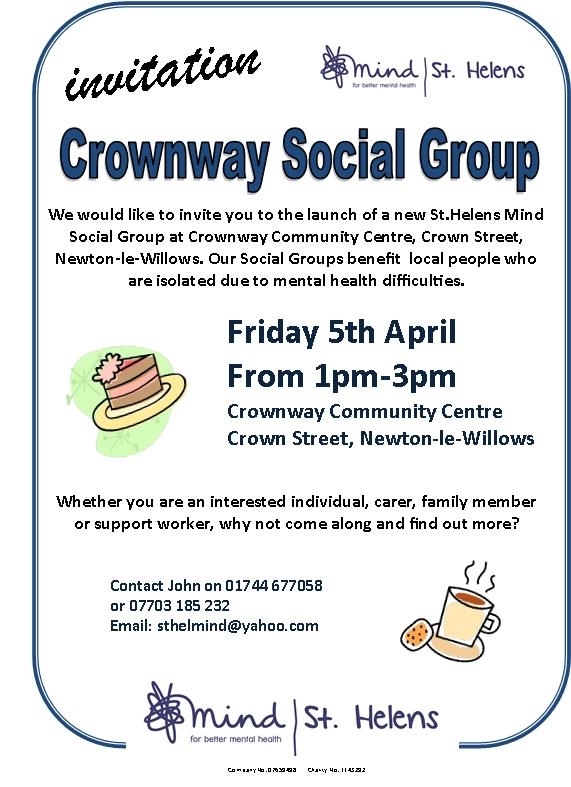 You can find out more by attending the launch of this new group on Friday April 5th between 1pm and 3pm at Crownway Community Centre, Newton le Willows. John Crawley, Group Development Worker said: “Our Social Groups provide a safe, welcoming and friendly environment for people to relax, meet new people, chat, take part in quizzes or enjoy other activities. 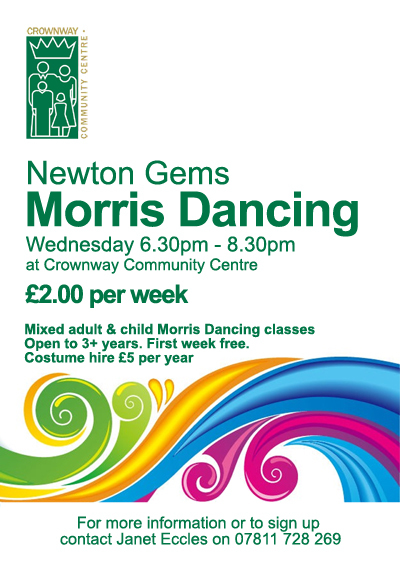 The launch of the group on April 5th will be followed by regular Friday afternoon sessions and we hope it will be a very valuable resource for Newton le Willows. If you would like more information but cannot attend on the day please contact John on 01744 677058 or 07703 185 232 or by email to sthelmind@yahoo.com.